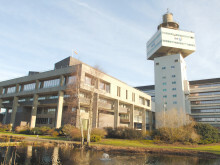 BT's new Digital Services Lab is located at the BT Innovation Labs in Martlesham, Suffolk. 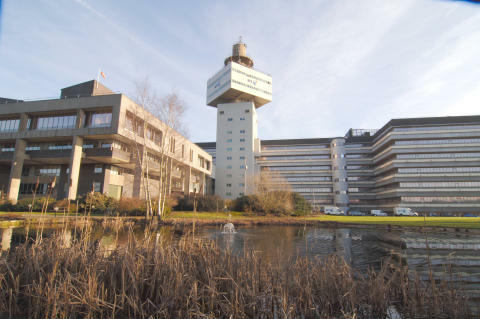 BT today announced the opening of a new lab at its R&D headquarters in Suffolk, to help providers of ‘special services’ move to the next generation of digital phone systems, as the existing analogue phone network is replaced by modern, IP-based digital voice and data services. The Digital Services Lab will help Special Services Providers (SSPs), who currently install and operate services such as medical alert devices, security systems and fire alarms over the Public Switched Telephone Network (PSTN), move to the next generation of digital, IP-based telephone networks. The facility will also help them take advantage of the increased flexibility of IP-based technologies, and develop innovative new converged products and services. In common with the majority of other telecoms operators worldwide, BT has announced plans to retire the existing analogue PSTN system, currently used to deliver the majority of fixed-line voice calls. Many businesses have already started to move over to digital voice services, which offer greater opportunities for convergence between fixed and mobile, as well as greater flexibility and sound quality. The company intends that all customers, both business and residential, will be using digital voice services by 2025. At this point the existing PSTN system will be fully phased out in favour of a single network that carries both voice and data. From today, SSPs will be able to book appointments to test their equipment on BT’s new IP products at the lab, connecting their kit to phone lines that simulate a range of line conditions corresponding to real world broadband connections. SSPs will also be able to use the lab to develop innovative new services that will be enabled by an all-IP world. For example by integrating converged mobile and fixed-line voice calls with data streams from health monitors and home security systems, helping elderly people to stay safe and well in their own homes for longer. To book testing slots at the new lab, SSPs can use a dedicated web portal, www.btplc.com/DigitalServicesLab/index.htm. The agile, programmable telecoms networks of the future moved a step closer today as BT and Dell EMC announced a research collaboration dedicated to exploring a new way of managing network traffic. 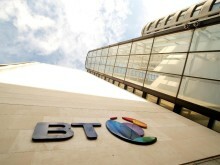 BT announced today that it has developed a trial of a software-defined network (SDN) architecture to enable a next generation highly flexible broadcast network, in a first for the company. 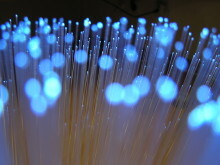 A new 400Gbps single-carrier based technology solution to transmit vast streams of data over core fibre-optic networks, the ‘motorways’ of the internet, has been developed by researchers at the BT Labs in Adastral Park, Ipswich.